They claim it's "humane" — but a lot of people disagree. Scientists recently suggested something very controversial — they’re encouraging people in Florida to bash iguanas’ heads against walls or boats, or to shoot them with bolt guns used in slaughterhouses. Iguanas are native animals in parts of Central and South America, but they’ve unfortunately become an invasive species in Florida. 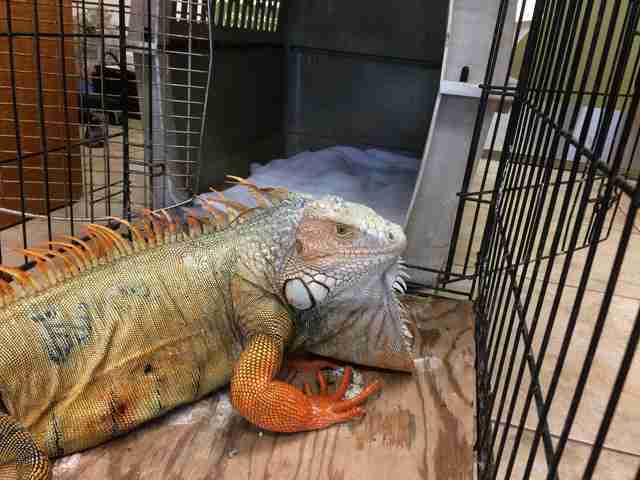 They started to appear in Florida as a result of the pet trade — irresponsible owners either allowed their pet iguanas to escape or deliberately dumped them. While it’s not the iguanas’ fault that they ended up in Florida, some believe they’re having a negative impact on the local environment, eating their way through native foliage and causing structural damage to buildings by burrowing in the ground beneath. And this is what prompted a group of scientists, who are contracted by the Florida Fish and Wildlife Conservation Commission (FWC), to ask the public to kill iguanas by bashing their heads. 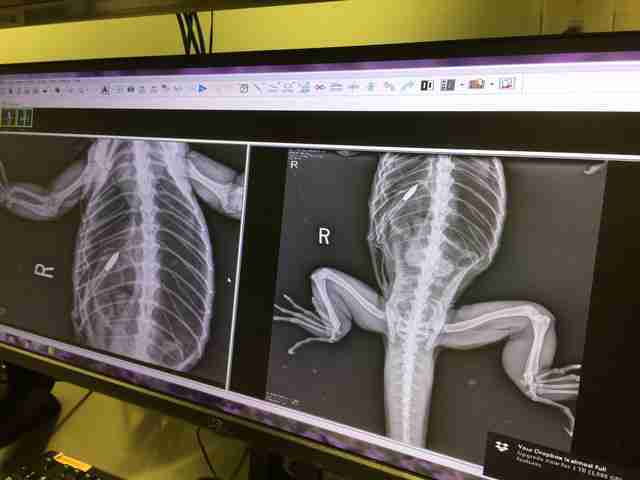 While these scientists claim head bashing to be a “humane” way to get rid of iguanas, animal welfare advocates disagree. 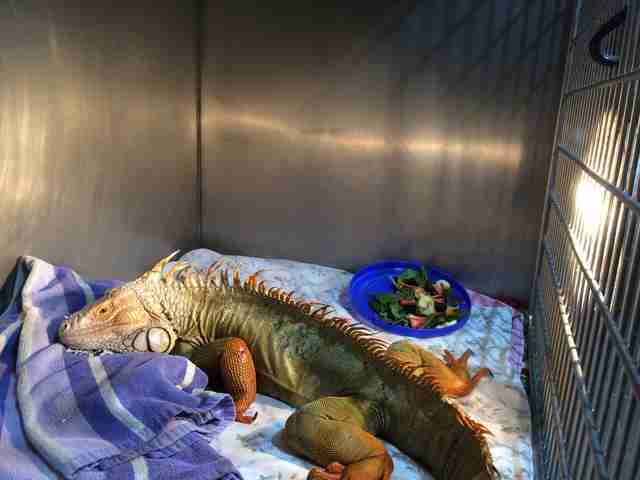 Parsons-Drake also believes the scientists’ suggestion has paved the way for other acts of cruelty against iguanas — and the SFWC, which rescues and rehabilitates many types of animals such as squirrels, owls and turtles, has had a recent influx of iguanas with horrific injuries. 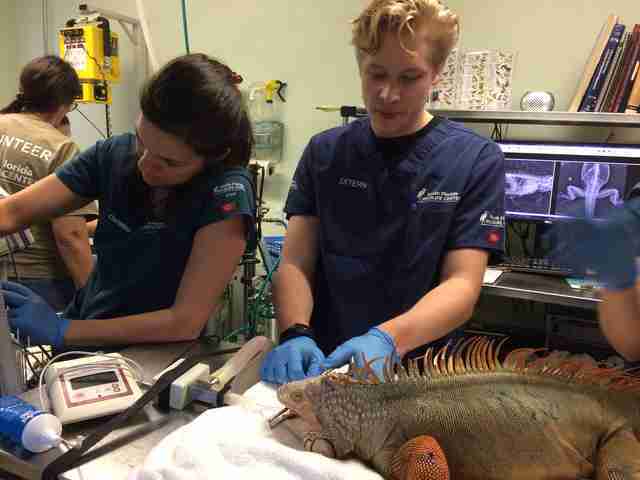 So far this year, the SFWC team has treated 85 iguanas who have been deliberately injured by people, and they expect to receive more patients as the months go on. 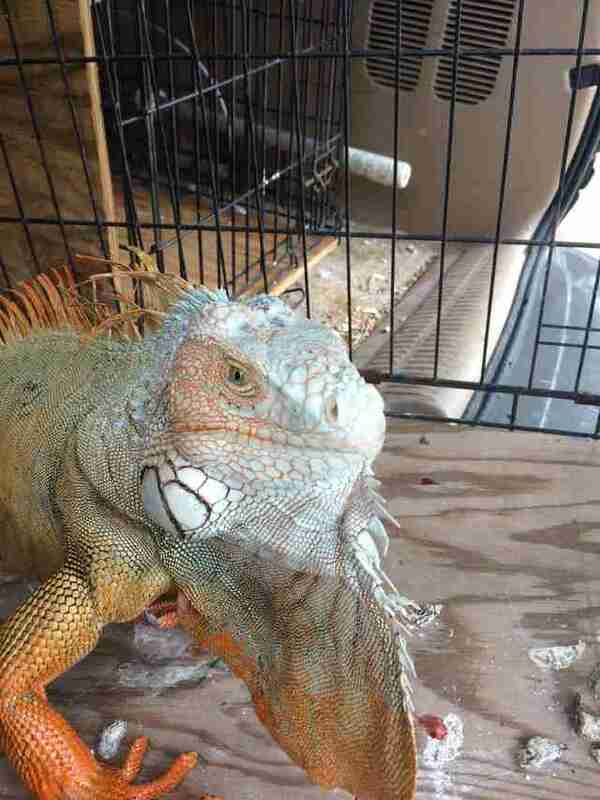 SFWC and the Humane Society of the United States (HSUS) are calling upon FWC to stop this method of killing iguanas, and to look at more humane ways to get them out of Florida. 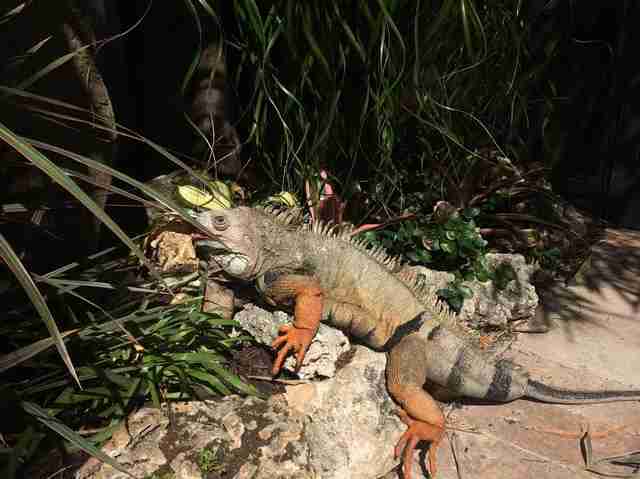 Another way is to place stricter regulations on the pet trade, which is how iguanas got to Florida in the first place. 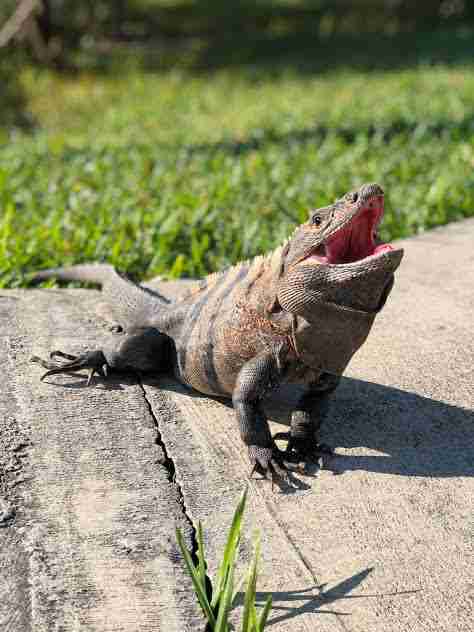 “We urge the Fish and Wildlife Commission to immediately reconsider the methods they are utilizing to kill iguanas and to implement a ban on the purchase, sale and possession of potentially invasive species in the state,” Paquette said. Until more humane solutions are found, Parsons-Drake suggests learning to live alongside these distinctive-looking creatures. 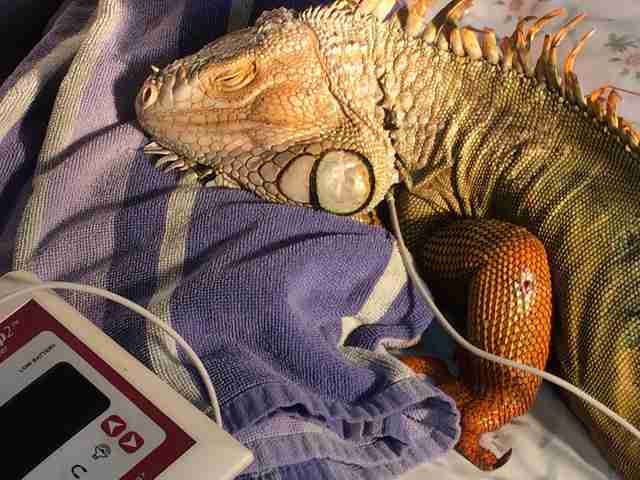 To help iguanas who have been deliberately injured in Florida, you can make a donation to SFWC.